Specialist in Diamond Tools for Concrete, Granite, MArble cince 1996. 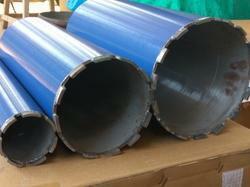 Diameter - 2, 3 , 4 to 14"
Usage/Application: cut / drill cores of various diameters of concrete or bituminous pavement. 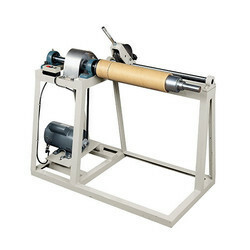 The core cutting machine is used to cut / drill cores of various diameters of concrete or bituminous pavement. We are a top notch supplier of Diamond Core Cutter. The diamond core drill is the professional solution for drilling in concrete and masonry. Diamond drills go through ceilings and walls without impact and dust, can be guided by hand or used as stationary drills. In line with clients' variegated requirements, we trading and supply a distinguished collection of the Core Cutting Fasteners Machine. - Used for the purpose of cutting the core of a metal. Our company is major company known for providing Diamond Core Cutter to clients. This product is manufactured under the guidance of our professionals by utilizing superior quality material in tandem with industrial standards. Diamond Core Cutter is precisely tested on set quality parameters before delivering it to clients.